Let’s take a quick break from all the Armored Core 5 news for a while, and remember that Activision is bringing a new and promising Transformers game to us. Trailer after the jump. Optimus Prime vs. Megatron, check. Bumblebee, Starscream, Soundwave, Omega Supreme, check. Gratuitous mech action in trailer, check! It’s free of the movie franchise, which means freedom to do a lot of things. It’s set in the timeline of the Generation One Transformers, which means all the original favorites are assured a spot somewhere. Two campaigns: Autobots and Decepticons. Like we said, promising. 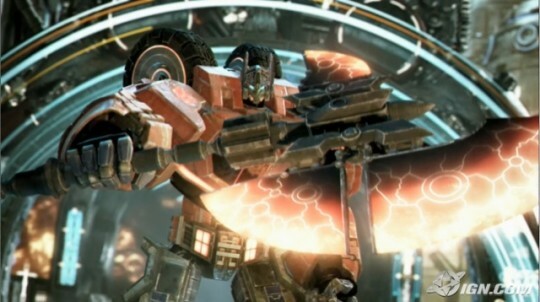 Transformers: War for Cybertron is set for a June 22, 2010 release. The discussion continues in the forums. Sweet :P The trailer looks very promising indeed.